Join our Breakaway Holiday Program. ​This program is available FREE for anyone wanting to play tennis from the ages of 11-17. The first week of the Breakaway Holiday program welcomed over 90% of new youngsters who were brave to come and have a go at the game of tennis. The initial disappointments on their faces when their rackets just couldn’t connect with the tennis balls. However, as new friends are made, the nerves calmed down, and new skills were slowly mastered, it was a euphoric feeling watching their faces change to that of excitement as the ball connects with the racket for the first time. From then on, it is just hitting and hitting, forehand, backhand, so on and on for a couple of hours. Breaking only to have morning tea & lunch..
And then that first challenge against another person they just couldn’t get enough of it..
We are thankful to Counties Manukau for choosing us as a provider to keep kids active during these two weeks of holidays. Although the program is provided for 11-17 year olds, we also welcome 4-11 year olds – Grasshoppers and Juniors. A mix we have kept for the past 5 years of running the program. ​We believe that if we are able to work with them at a young age, then we are instilling in them some values and friendships that will help them in the future to make positive decisions for their lives. ﻿Due to bad weather our Family Open Day is now postponed till next Sunday 13th of September 2pm. We look forward to seeing you next week. Junior Registration Monday 14 September and Wednesday 16 September at 4pm. Our AGM is Sunday 9th August 2015 at 4pm. Please try and come along to the meeting. Are you keen to play Summer Interclub? If yes then please enrol now. Season starts on 5th or 12th of September. Further details on our Interclub page. 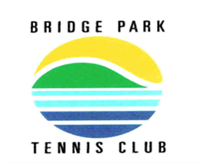 July 2015 - Bridge Park Tennis Club now officially a charity. Details about BRIDGE PARK TENNIS CLUB INCORPORATED are now publicly available on the Charities Register at www.charities.govt.nz. Great tennis was played by all those involved in the Monday Open 4 competition. Twilight Ladies Bridge Park 2 against Sunnyhills was cancelled due to rain. This game will now be played on Tuesday 27 January at 6:30pm. Due to rain Midweek Ladies was cancelled today. These games will now be played Sunday 23 November from 3:30 to 7pm. All Home Games now uploaded under Court Usage. Please join us this coming Thursday for Club Night from 6 to 9pm. 30 October - There will be a "Special Meeting" at 7pm for an amendment to the Club's Constitution. Twilight Tennis starts first Monday/Tuesday in November. See the draw for Twilight under Interclub Men's Teams and Women's Teams. IMPORTANT: There will be no JUNIOR coaching on Saturday 25 October and Monday 27 October over Labour Weekend . Midweek Ladies Lead in Competition starts 20 October at 9.30am. Junior Interclub starts 18 October. Junior Open Day Saturday 20 September 2014, 9-12pm. Club Open Day Sunday 13 September 2014, 2 to 5pm.